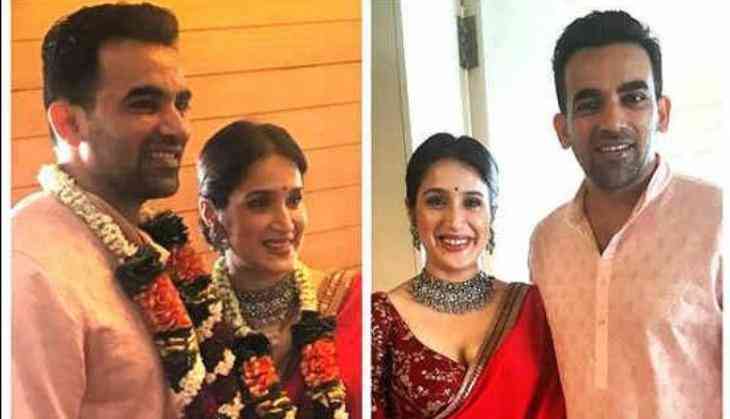 Home » cricket news » Here is why Zaheer Khan and Sagarika Ghatge preponed their wedding! The Indian speedster Zaheer Khan tied the knot with Sagarika Ghatge on 23 November 2017. The duo had a registrar marriage at their home in Mumbai. Earlier there were rumours in the media that Zaheer and Sagarika will get married on the 27 November. But the couple surprised everyone with their sudden marriage. With their marriage, everyone was surprised because they tied the knot without even doing 'Saat Phare' or 'Nikah'. Zaheer Khan and Sagarika Ghatge have been in the relationship from last one year. The duo has announced that they are together with their fans in the April month of this year. After getting public with each-other in April the duo got engaged in May. After their engagement in May, the duo did register marriage at their home on 23 November. As per reports in OneIndia, the duo decide to get hitched with each-other in registered marriage without saying 'Qubool Hai' or without doing 'Saath Phare' because of their religion. As we all know that Zaheer Khan follows Muslim religion while on the other hand, Sagarika Ghatge follows Hinduism. That's why the duo decided to get married in court. The family of both Zaheer and Sagarika also have not had any problem with each-other. Even Zaheer Khan And Sagarika wanted to get married with each-other but without any religion. After the marriage, they did reception in the hotel and only close relatives and friends were invited to the party. In Zak's party, Anjali along with Sachin Tendulkar, Ajit Agarkar, Yuvraj Singh's wife, Hazel Keech, Harbhajan Singh and other stars were seen.